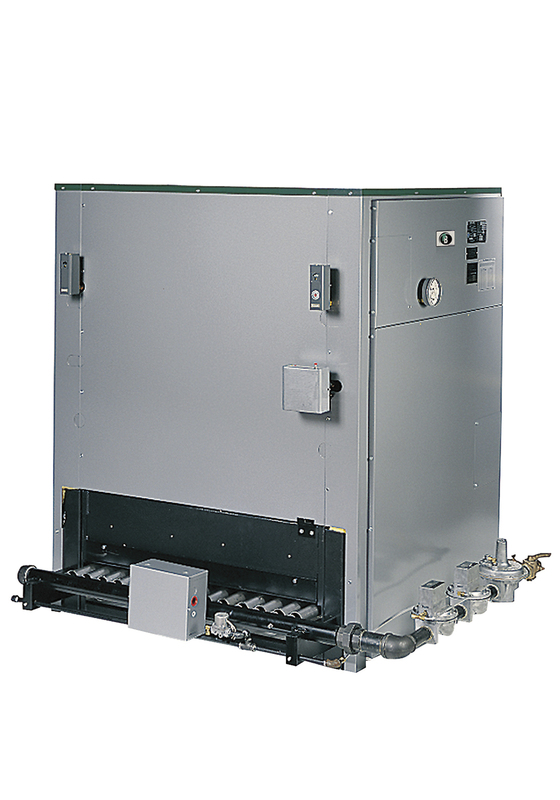 The Series 211A™ atmospheric, gas-fired steam boiler is designed for maximum corrosion resistance and longer life. The low profile design allows for installations in applications with low head room. 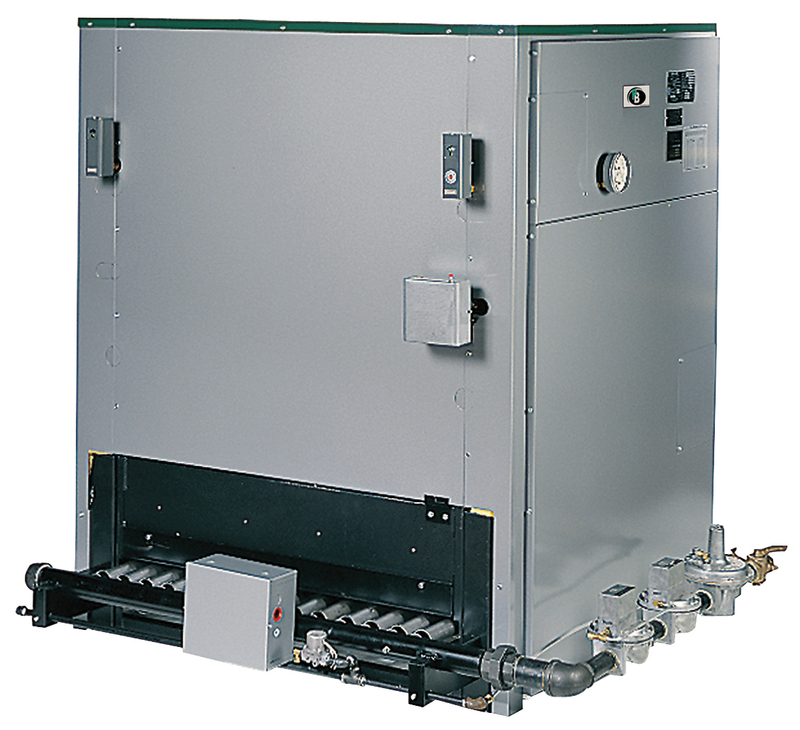 The commercial cast iron boiler is installed with water and steam-tight flexible flow port seals for faster installation and allows for the sections to expand/contract independently. Easy and complete access to the boiler for inspection and cleaning can be accomplished without removal of the entire jacket, thereby promoting better maintenance. Note: For LP Ratings decrease by 2.5%. * Assembled blocks available to 19 sections only. Gross Output Rating, Thermal Efficiency and Combustion Efficiency determined in accordance with AHRI requirements. Net AHRI steam ratings based on an allowance shown in table. Consult factory before selecting a boiler for installation having unusual piping and pickup requirements, such as intermittent system operation, extensive piping systems, etc. 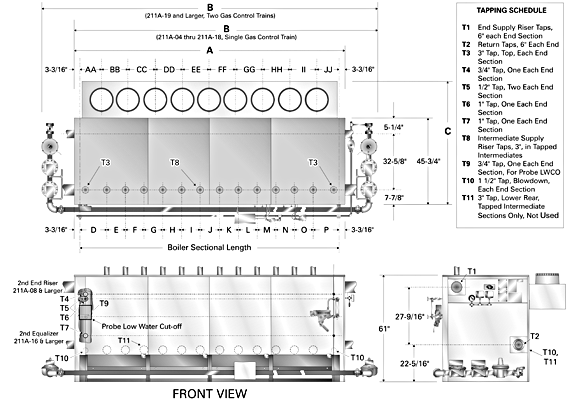 Consult product catalog literature for larger capacities and detailed ratings information up to 9,450 MBH.